A110-1 CTN: GENERATING PLANT 2 NM FROM AER 15 PRODUCES STEAM WHICH MAY OBSC VSBTY ON FNA. A110-10 TWY L CLSD TO ACFT OVR 60000 LBS. A110-11 ANG: PRIM TWY FOR MIL NON-FIGHTER ACFT ARR/DEP IS E.
A110-12 ANG: NON-STD TWY LGTS ON TWY E.
A110-14 TWYS D, E, F, N CLSD TO CIVILIAN OPNS. A110-15 SERVICE-A-GEAR: TYPE H/BAK-12A(B) AER 33 LCTD 1000 FT FM DSPLCD THR. TYPE H/BAK 12A(B) CABLE RAISED BY TWR ON PILOT REQ ONLY. RWY 15 AND RWY 33 A-G HOUSINGS ARE NON-FRANGIBLE (26 IN ABV GRD LEVEL) LCTD 250 FT FM RWY CNTLN. A110-17 CAUTION: PHASE II WILDLIFE ACTVY DURG MIGRATION, MAR-MAY & SEP-NOV.
A110-2 ACR RAMP NOT AVBL FOR PVT AND/OR CHTR ACFT. A110-20 ANG: OPR 1030-2100Z++ WKDAYS, EXC HOL, CLSD SAT-MON. PPR FOR FUEL/PRKG, CTC ANG OPNS DSN 220-5213/5920/5267 C802-660-5213. ALL TSNT ACFT ENR ETHAN ALLEN TRNG SITE AND R-6501A MUST STOP AT AASF FOR RQRD SAFETY BRIEF. A110-21 TWY M IS SEASONAL. A110-23 FIGHTER ACFT: NO LOW APCHS. ALL OTHER MIL ACFT LTD TO TWO PRACTICE APCHS. DO NOT FLY OVER HOSPITAL APRXLY 1.5 NM WEST OF RWY 15 APCH END. A110-25 TWY A BTN TWY G & TWY C CLSD TO ACFT WINGSPAN MORE THAN 115 FT EXC 1 HR PPR 802-316-6014 DLY. A110-26 FBO CLSD EXC 1 HR PPR 802-863-3626 DLY 0200-0900. A110-27 TWY K EDGE LGT CHGD TO EDGE REFLECTORS. A110-29 COLD TEMPERATURE RESTRICTED AIRPORT. ALTITUDE CORRECTION REQUIRED AT OR BELOW -10C. A110-3 BIRDS & DEER ON AND INVOF ARPT. A110-30 ARFF AVBL 24 HRS. A110-31 ACFT TURN AROUND CLNCS ON TWY K SOUTH OF TWY J LTD TO ACFT DESIGN GROUP II OR SMLR. A110-32 ANG: TWY D, E, F CLSD FOR CONST. A110-5 TWYS D, E, F, N, ANG & RNG RAMPS HAVE UNCONTROLLED VEHICLES & ACFT. A110-9 FIGHTER ACFT RSTRD TO TKOF WINDOW OF 0830-2230 MON-SAT; 1200-2230 SUN. A24 FEE FOR ITNRNT ACFT GTR THAN 6000 LBS. 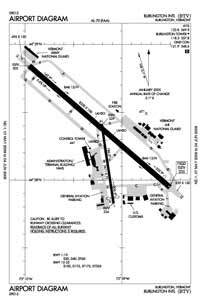 A35-01/19 SOUTH OF RWY 15/33 INTXN TO TWY C, SW 100 DTW 355; SOUTH OF TWY C INTXN TO SOUTH END OF RWY, SW 30 DW 60. A57-01 20:1 TO DSPLCD THR. A57-33 30:1 TO DSPLCD THR. A81-APT DUSK-DAWN. 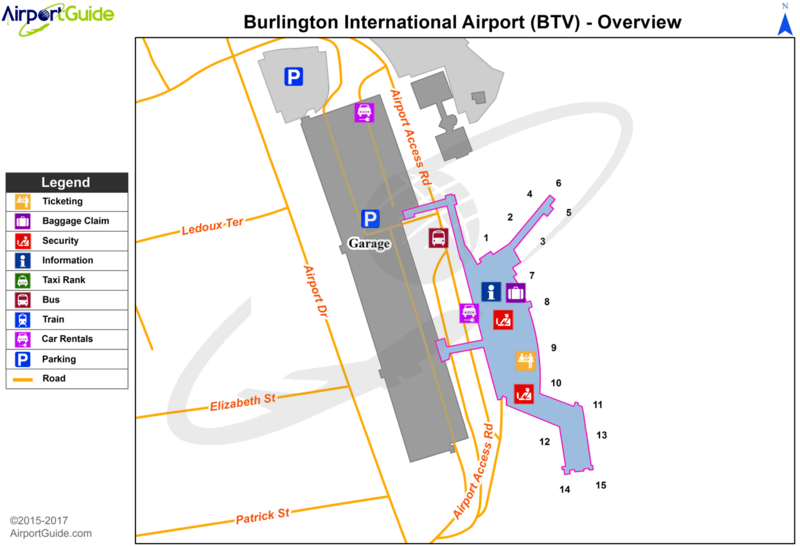 ACTVT MALSR RWY 15; MALSF RWY 33; PAPI RWY 01 & 19, 15 & 33; MIRL RWY 01/19; HIRL RWY 15/33; ALL TWYS - CTAF. E60-15 TYPE H/BAK-12A (B) 1499 FT.
E60-33 TYPE H/BAK-12A (B) 1500 FT.